Born on 28 August, 1952, Khehar enrolled as an advocate in 1979 and practiced mainly in Punjab, Haryana, Shimla, Chandigarh and Himachal Pradesh high courts. Justice Jagdish Singh Khehar was on Wednesday sworn in as 44th Chief Justice of India. 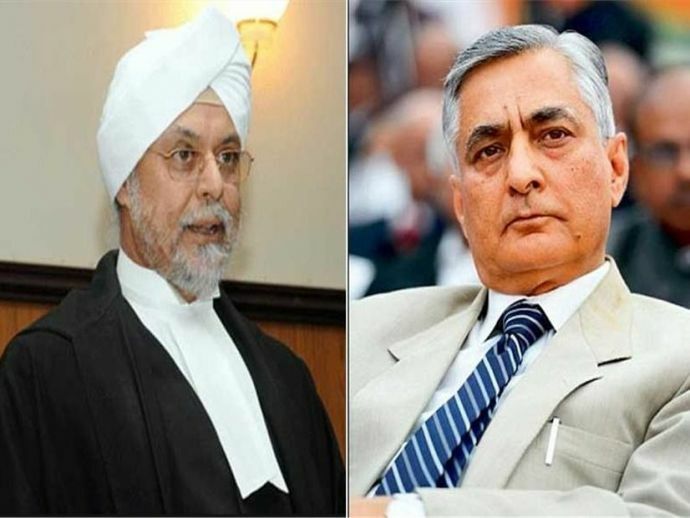 The name of Justice Khehar was recommended for appointment by the current CJI T S Thakur. President Pranab Mukherjee administered the oath of office at Rashtrapati Bhavan amongst an august gathering. With this appointment, Justice Khehar has become the first Sikh to hold the top office. Born on 28 August, 1952, Khehar enrolled as an advocate in 1979 and practiced mainly in Punjab, Haryana, Shimla, Chandigarh and Himachal Pradesh high courts. Later he was appointed as a judge of Supreme Court of India in 2011. He was popular choice courtesy his works like heading the bench that put aside the imposition of President’s rule in Arunachal Pradesh in January 2016. Justice Khehar will have a tenure of over seven months till August 28, 2017 when he retires.